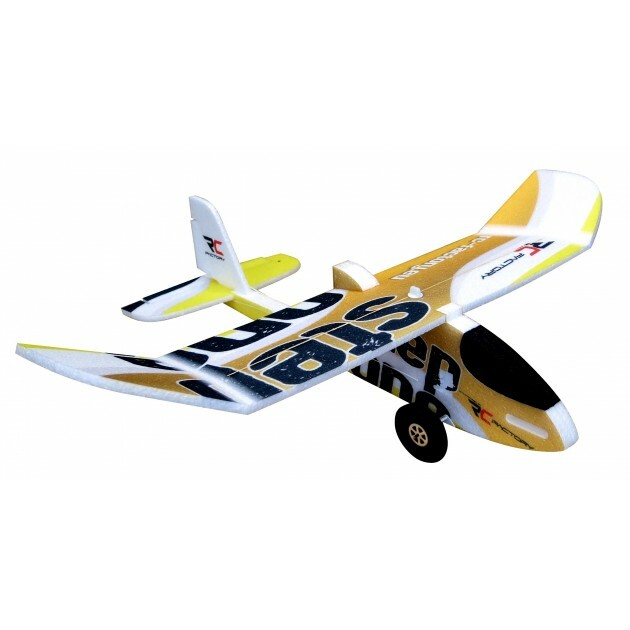 Introducing the trainer EPP model, the 34" EPP Step-One top wing trainer model! The latest model of Backyard series has been designed by Jan Sedlacek, especially for beginner RC pilots, but also for fun of more experienced ones. The construction is of standard EPP thickness, that is why is the Step One so resistant and almost unbreakable. We have tried to make building the model as simple as possible, so that even an inexperienced modeler can build the model correctly and without complications. It is also subject to very detailed instructions. Controlling the new Step One is nothing difficult, if observing the recommended settings. The model can be controlled even by the engine power and rudder alone. 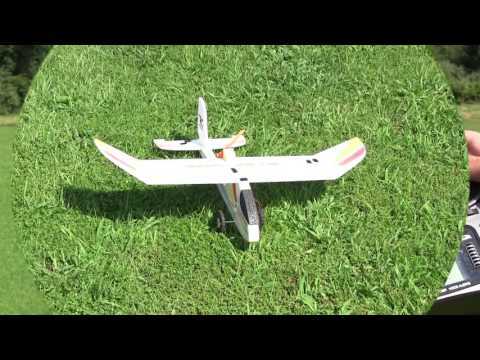 The model is calm and stable in the air, yet for the first launches you should rather choose calm weather. Easily removable wing makes transporting the plane no problem, so you can take it with you even on vacation. Model Step-One is supplied with the landing gear, so you can practice take-offs and landings on the ground. Due to the large wheels the Step-One can handle even start from mown grass. When the landing gear is removed, the flight performance gets even better. Always do take-offs and landings upwind, flight speed will get reduced and so you won't need that much of a space for your take-offs and landings. Avoid flying near high voltage wires and always remember, that even with such a simple model, damage can be done to property or to person's health. This is the classic, very popular 3D EPP line. The rugged construction allows you to learn all kinds of new maneuvers without fear of destroying your model.